Everyone may have a dream to stand on a high place and rule the world. People live in the game continent are of no exception. 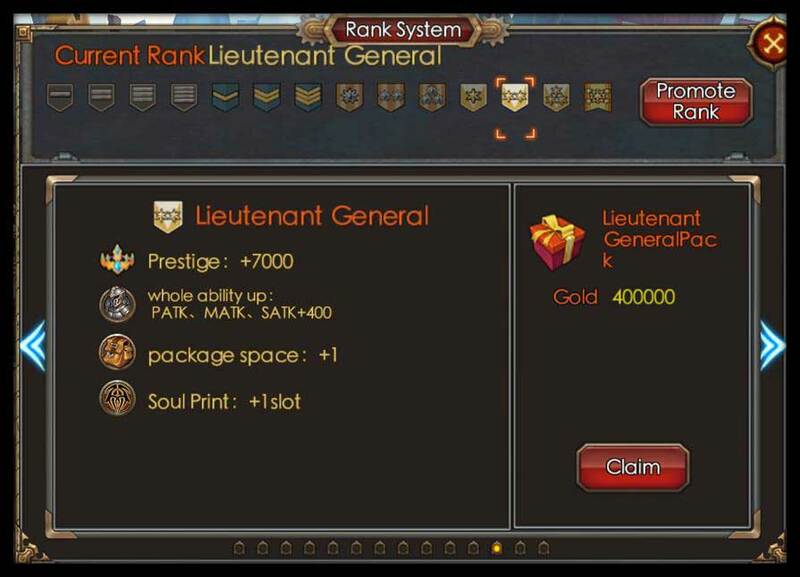 The rank system has existed in Crist Continent before the Revered Chaos. It is a way to tell who the stronger man is. Everyone is trying to increase their ranks. Let’s learn more about the rank system now. How to unlock the rank system? Simply by completing the First Rank Test released by official Apollo. The Rank stands for power and honor. After you obtain a rank, it will be displayed next to your name. Only powerful person can be entitled with a high rank. The rank system includes 4 stages and 14 ranks. Players can prove their ability by passing the Rank Test and completing the Rank Trial. Then they can upgrade to the next rank. Each upgraded rank will grant players an attribute bonus and resource rewards. What’s more, the higher the rank is, the more pay the players will receive!